For a while now I’ve had this idea to make a post that helps authors plan their launch plan. I debated several ways to make this post and kept changing how I wanted to do this post. In the end I decided to list multiple things that can help you promote your book during launch. Most of these can be applied to any release, although not every option might be necessary for every book. So it’s more a global idea of which events you can plan when. With each event always make sure to actually read the rules or guidelines of the site or company where you want to book these things. If you plan things yourself you have a bit more freedom when it comes to that, but I do believe it can pay off to start planning your release plan early in advance to make sure you can still book everything you want to or find alternatives when necessary. This list only applies to marketing strategies as that’s what I know most about. So I won’t talk about editing and cover design etc. I will only say to make sure you got most of the editing finished before you send out copies to ARC readers and to make sure to have your cover done before the cover reveal or if you don’t do that before the release at least or pre-order if you do that. Also this is my personal opinion on when it’s best to plan these things. When to start planning and booking your Marketing activities? When you’re launching a new book there are multiple different ways to promote your book, below I list different ways to promote your book and I list when you want said event to take and when to start planning this so it takes place on that time. I think planning and starting in time can be very important for your launch plan. But also keep in mind all these things are optional and doing things later is okay too, it’s just an indication. I think you can announce your book as soon as you know you will be writing it or if you find that too early as soon as you finish the first draft of your book or before you start any other promotion activities. I think announcing your book is totally optional, but it’s a nice way to let your fans or followers know what the next book is they can expect and it can serve as the first step to create some excitement and anticipation around your book. You don’t need a title, release date or blurb for your book to announce it, but you can also wait till you have that to announce it. There isn’t really a right or wrong way to go about this. But start talking about your book as soon as you’re working on it or have something to share could be worth it. I know as a reader I always like hearing what authors will be working on next, even when it’s just an idea it can already make me excited. Some authors release a prequel novella or a novella in between books. Novellas can help build excitement for your next book and they also are an excellent way to build your newsletter, either by putting the book up on instafreebie and requiring people to sign-up for your newsletter to get it or more low key as newsletter freebie, which you can then promote and encourage people to sign-up for your newsletter to get the freebie. 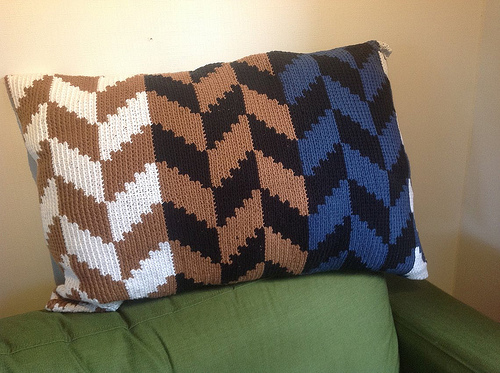 You could make a novella an exclusive newsletter goodie or even publish it as well. Depending on how you want to launch your novella I think as soon as you’ve written it you can launch it. Make sure to distribute it or publish it. If you want to publish it you might want to take a few extra weeks to line up some reviewers etc, but if it’s a newsletter freebie you can basically start distributing it as soon as the novella and cover is finished. I recommend to launch a novella anywhere from 2 weeks to a few months before the release of book 1 or the next book. A novella can help build excitement for your next book. You can also launch it as early as half a year or a year before release, but I would recommend against that as you want to build excitement for your next book and be able to keep that excitement going until the release of your book. Sample chapters can work in much the same way as a novella, it can help build excitement for your book and you can also use it to encourage newsletter sign-up. Most of what I mentioned at the novella section can be applied here too. Opinions vary on what works better, I would say do what works best for your series. A novella might work better to give readers a full story, but I also know some readers who love to get a few sample chapters of the next book. I personally fall in the first group as a reader as I don’t like reading excerpts or samples and just want to read the whole book. I use the term promo site for sites that feature your book either on social media or newsletter, there are a lot of free ones, but also a lot of paid ones. Think of sites like Bookbub for example. These sites let their followers know about your book and they can be quite effective when promoting your new release or discount or both. You can launch your book discounted (more about this later), but even if you don’t there are promo sites that feature new releases or books up till a certain price. Often you have a few different type of promo’s or promo sites: free books, 0.99$ books, bargain books (often up to 2.99) or new releases. For a new release package you often have to feature your book within X months of your release. For most of the free sites that I’ve seen 2-4 weeks before you want them to feature your book is early enough, but sometimes they have a limited amount of spots so edging to the 4 week border of that would be my advice. Some paid sites you need to book even earlier as they book up early in advance. So keep this in mind. Some promo sites require a minimum amount of reviews or a minimum average rating for your book. If you have published multiple books you can sometimes have one of them count for those requirement. Another option would be to do a soft launch, publish your book, but don’t promote it yet or publish the paperback version of the book and have reviewers leave reviews there. If you want to use any sites with a minimum requirement I advice having an ARC team or ARC reviewers in place so you can be relatively sure you reach this amount before booking those ads. You can read more about how to set up an ARC team in this post. You can also wait with booking those ads till the next discount you run. It depends a bit on what kind of cover reveal you want to do. If you just want to do a cover reveal on your own social media and/ or newsletter you need very little to no preparation time. As soon as you have the cover and/ or blurb you can reveal it. If you want to book a cover reveal it depends on the company you use, make sure to read the requirements and pick which company you want to book a reveal with first. 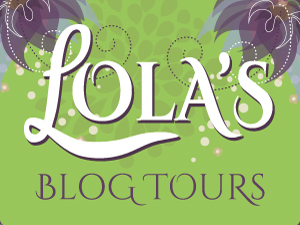 With Lola’s Blog Tours I organize free cover reveals and recommend authors to book at least two weeks in advance. If you want to organize a cover reveal yourself I would recommend to start 2 to 3 weeks in advance as well to make sure you can get as many bloggers as possible to sign-up. 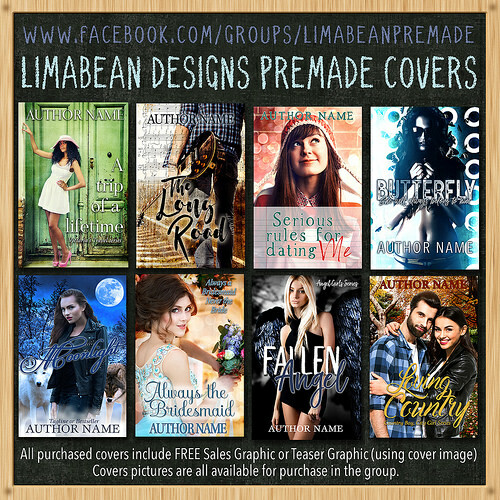 I personally love cover reveals and think they can be an important part of your marketing strategy. 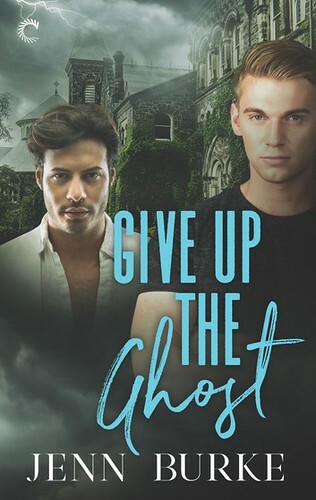 It’s fun to see a cover for an upcoming book, no matter how big or small you make this I think doing a cover reveal of some sort can be fun and a good way to spread the word about an upcoming release. I’ve also heard of authors who reveal the covers for multiple books in a series at once, which can work great too, especially when releasing the books close together. With teasers and excerpts I mean written teasers and excerpts, but also graphics. In terms of timing it’s good to keep in mind when you want to share/ post these. Do you only want to post some teasers or excerpts in your newsletter or social media? Then as long as you have them before you want to post them is okay. But for some promo sites or tours or even a cover reveal you might want to use some excerpts or teasers as well, so you would have them when you start planning those or at least before the media kits go out or before you submit to that site. If you want a graphic teaser you also need to design this first or ask a designer to do this for you, so keep this in mind when planning this. You can use teasers and excerpts in a lot of ways to promote your upcoming release, put it in your newsletter, on social media in any media kits etc. This one depends a bit on what you already have in place for reviewers. Do you have an ARC Team? Do you want to start an ARC team for this book? 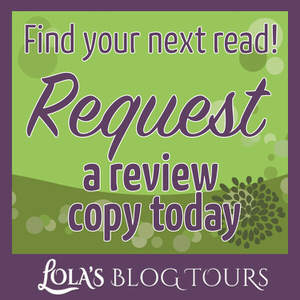 Do you already have reviewers who mentioned they would like a review copy? If you want to know more about setting up a ARC team, please read my post about setting up an ARC team. If you don’t have an arc team or reviewers or not enough, you probably need a bit of extra time to contact new reviewers. I would advice to make sure you have the review copies ready when you start contacting potential reviewers as then when they agree to review your book you can send them the review copy immediately. Contacting reviewers does take some time, so if you have to contact reviewers make sure to take extra time for this. If you have an ARC team make sure to let them know when they can expect the arc of this book and when you want them to review it if possible. When to start planning this again depends on the company you’re hiring or whether you want to plan it yourself. When hiring a company, always make sure to read their guidelines on their site and decide in advance who to hire. And the timing also depends on whether it’s a promo/ excerpt only tour or with reviews stops. 2-3 weeks in advance works for promo/ excerpt only tours, but if you want some reviews I recommend to take a bit more time and aim for 3-4 weeks if possible at least. 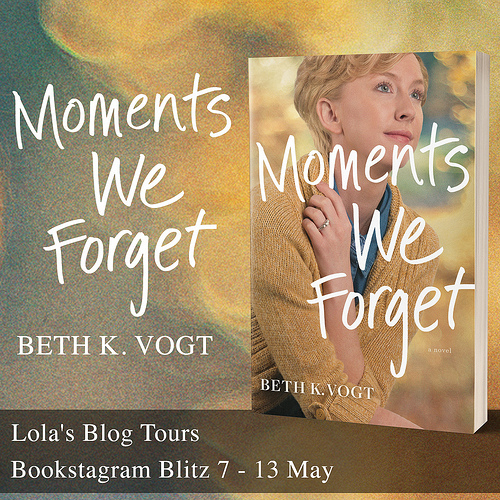 For Lola’s Blog Tours I recommend booking a book blitz (promo/ excerpt only) at least two weeks in advance, while for book blitzes deluxe and blog tours (which both have reviews stops) I recommend at least 3 weeks in advance. But booking earlier can be beneficial as there is more time to encourage bloggers to sign-up. A blog tour can be a great way to ave bloggers spread the word about your new book and/ or discount. And I think it can be a great addition to any marketing plan. Release day events, parties or things like thunderclap or headtalker campaigns can be part of your marketing strategy. These usually can be set up at a relatively short notice, but like everywhere I always recommend to play it safe. The more time you have the more people will probably sign-up and the more time you have to spread the word. This one is pretty broad where the other techniques I listed are more specific, I’ve seen authors do release day parties or even discount parties. Often on social media. Giveaways can be great to have people help spread the word about your new release, if you do a tour you can reuse the same giveaway for both or set up separate giveaways for each event. When to discount your book? In one of the options before I mentioned discounting your book, I think there are multiple good times it discount your book. And promotion activities like a blog tour and promo sites and ads can be booked every time you have a discount running. On Release Day. I’ve seen quite some authors successfully launch a new book discounted, so I think this is worth considering. Launch your book at a discounted price and then up it later. Also make sure to mention the discounted price and encourage people to buy thew book while discounted. When the next book releases. If your book is part of a series, discounting it when the next book or even any later book in the series releases is a good time to discount your book. Even if your book isn’t part of a series you can still discount it when you have a new release. Between releases. It can be hard to keep eyes on your book between releases and I think this is a great time to discount your book. Whenever you want. I don’t think there really is a bad time to discount your book, just make sure to plan things in advance and do your best to promote the discount. How to use social media and your newsletter to promote this? Your newsletter and social media accounts can really enhance any of these marketing strategies. Your newsletter and social media are the way to spread the word and reach your followers. I usually recommend to mention every big point at least once in the newsletter and remind people about it if you send out any other newsletters before said event takes place. Or combine multiple smaller things in one newsletter. When it comes to social media you can usually share as often as you want. A few ideas how social media and your newsletter can be used for the marketing strategies listed above: announce your book/ title/ blurb/ pre-order links etc, announce novella, share links for novella, encourage people to sign-up for your newsletter, tell them about upcoming sample chapters and where to get them, share link to where to get sample chapters, announce discounts or pre-order discount, let your followers know when sign-ups for a blog tour/ cover reveal etc are open, reveal the cover on your social media, help spread the word about stops during cover reveal/ tour, shares teasers and excerpts, let followers know how to get/ sign-up for a review copy, announce any release day events and promote them etc. Authors: Which methods do you use to market your book? Anything I didn’t list? Bloggers: Through which of these methods do you often hear about new books? I am so glad to hear that :). And good luck with releasing one of your books yourself this year, let me know if you need any help or have any questions I don’t answer in these posts! I know very little about the writing, covers or editing, but marketing is where my knowledge lies. I find marketing fascinating. And I am happy to share what I know :). I’ve looked at your services and I’m very impressed – I realise I’m going to need help in this area, so once I’ve got myself fully organised – the editing and covers are sorted – I just want to get the sequel reasonably close to the final draft so I can bring out the trilogy fairly close together – I’ll be getting in touch regarding organising a blog tour and/or cover reveal. Thanks! I would love the organizing a cover reveal and/ or a tour for you :). Just let me know when you’re ready to book anything. As a blogger and reader I think I hear about new books from other blogs the most. The Release Day posts and reviews are what attract me most. I also really like reading reviews for books and they help me find new ones. And I always like hearing from authors I follow when they have a new book out. This post sounds very informative and very good for many authors to know!!! As one that blogs and reads, what I use the most is blog tours, ARC portals and social media. 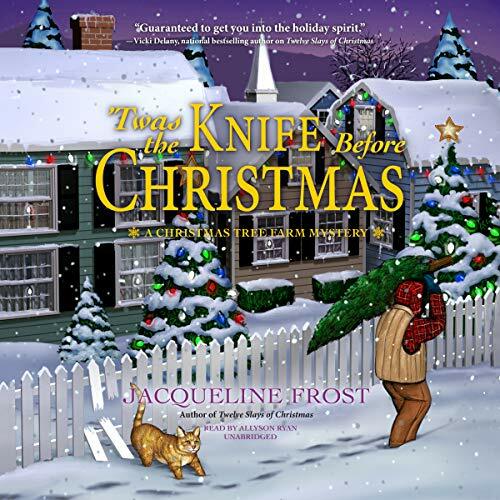 I have found quite some new books through tours as well, sites like netgalley and often newsletters or social media posts from authors can also alert me to a new book by them. As a reader/blogger, I don’t even know how I find new books anymore lol. Amazon, GR, other blogs I follow, blog tour sites, social media. Probably less social media than the others though. I used to check bookbub and a few other of those things every day but don’t do that anymore. I think those email services can definitely help promote a discount or release though since tons of people use them. Thanks! I hope to give authors some information and tips with these posts :). And I hope you eventually will write your own book! I find quite some books through social media, but also through a lot of other venues. I am subscribed to bookbub and a few of those sites but not too many. I usually prefer to subscribe to an author their newsletter if I am interested in their books. Thanks! I am really curious how the teasers afterward will work out. And good point that’s one of the things you don’t necessarily have to do before the release day. I always like seeing the teasers you make for your book, I like seeing which scenes of the book and which quotes you pick for them. As always you have a ton of great advice! I’m guilty of not planning enough. With my first book, I planned EVERYTHING and didn’t see the results I wanted so I started sharing and doing things how I wanted. Now that I have multiple books in the game, it may be time to rethink my strategies. I’ll definitely refer to this! Tracy Krimmer recently posted…All That Glitters Cover Reveal! Thanks! Maybe you can find a way to do things how you want them and plan a bit? Mix both strategies. I am personally a bit of a planner so that’s why I always heavily focus on that and I think it can be very effective. I love that you do these Lola’s Advice features 🙂 I’m nowhere near ready to take most of your advice yet, but I keep saving them to revisit when the time is right! As a reader/blogger, I think I find most of my books through other blogs. And VERY occasionally goodreads. But mostly, I look at what other bloggers are reading and rating (high ratings, if they’re a blogger I’ve had similar tastes to in the past, but otherwise I don’t care HOW they’re rated, just that they’re being read). I don’t interact with a TON of blog tours anymore, but they DO catch my eye when they show up on Bloglovin, so that at least helps get the cover/title shown more frequently too! Thanks! I am glad to hear that. I didn’t realize you were planning to write a book. 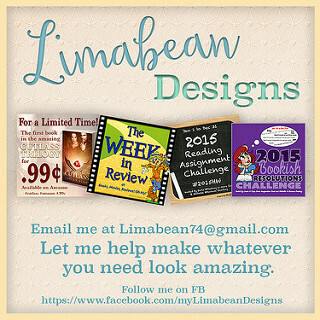 I hope these posts come in handy once you’re ready to publish your book :). I do think blog tours can really help to get the cover and title seen, so at least more people hear about it/ see it. I hear about new books form other blogs too and I subscribe and follow a lot of authors. And things like netgalley or even the also boughts on amazon can help me find new books too.